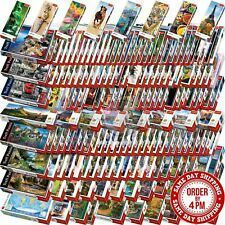 48Pcs--Magic Block. How to play. 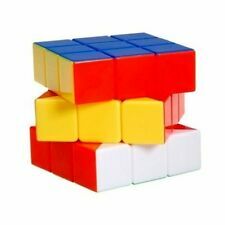 The magic cube is children's education toys and adult exercise toys. Beside,it can exercise reasoning ability, response ability. The color difference is hard to avoid in the internet sales. So if dear you can not accept this very little difference, be cautious before you making the orders. 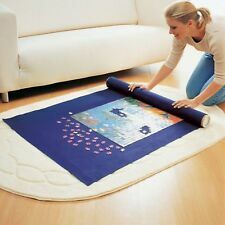 Giant Puzzle Roll Up Mat - Easy Jigsaw Storage. 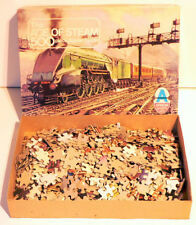 Fits up to 3 ,000 piece jigsaw. One cube in one box. Weight 80g. 48 X Magic Block. How to play Material: ABS. Heart Secret Opening Puzzle Box Challenge your inner geek and solve the mystery and the puzzle box will open. The heart decoration makes it a lovely way to hide a gift for your love. Level 3 stars. Net content: 10ml. Professional lubricant for magic cube. Clean the orginal oil in cube before use this product. 48 X Magic Block. The first player destroys the dice in the colored dice and ensures that all dice fall into the groove to form a new model. How to play You can follow below process to chontact us. This great brain teaser puzzle contains 33 pieces precisely cut and fastened together. One of the most difficult 3D puzzles designed for the talented puzzlers that looking for lots of challenge. This is one of our largest puzzles. 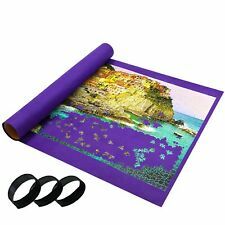 Very large and Beautiful assemble puzzle for the puzzler collection Dimension 8 x 8 x 8 cm Difficulty Level: 4 of 5. This cube turns smooth and has a tension able design that makes it super easy to use. Great corner cutting - get going at the speed of thought with a magic cube that is tension able and has no stalling corners. 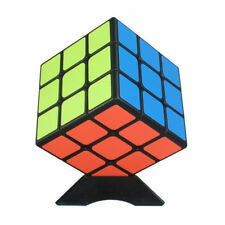 1 x FC MXBB 3x3 PVC Sticker Smooth Speed Puzzle Magic Cube Black. Cube Type: 3-layer. Color: Yellow, Green, Orange, Blue,Red, White. Material: ABS plastic. Item Weight: About 91g. The Original Soduku just like what it was made the first time. A must have for the Soduku fans! Soduku is a logic puzzle using the digits 1 thru 9. Each 3x3 grid within the puzzle can only use the digits 1 thru 9 one time each; and each row and column of the entire puzzle can only use the digits 1 thru 9 one time also. Dimensions: 14 x 14 x 2 cm Difficulty: 5 out of 5. A classic game that has been teasing puzzlers for generations, can you eliminate the redundant sides? Three puzzles in one: 1. Take the cubes out from the case, mix them up, and then rearrange them (in the case) so there are four different colors on each side. 2. Arrange the cubes out from the case in a 2X2 square, so there are four different colors on the top, the same four different colors on the bottom and two different colors on each side. 3. 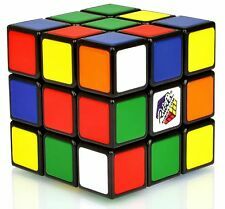 Arrange the cubes out from the case in a 2X2 square, so there are four different colors on the top, the same four different colors on the bottom and two of the same color on each side. Disassemble and reassemble the wooden pieces in the wooden box. Another classic game and gives you hours of fan and peace. Dimension :13 x 13 x 2 cm Difficulty Level: 3 of 5. 3x3x3 Rubik's Cube - black and white. Easy and fast turning and smooth play. The slide-on box lid doubles as a convenient puzzle board! Each puzzle piece is shape-coded on the back for easy sorting. Great for travel! VEHICLE ID: Look at the pictures of the puzzles on the outside of the box. Lift one of the eight peg puzzle pieces to see and hear what's happening all over this busy farm! This unique sound puzzle lets kids two and older hear a cow being milked in the barn, a tractor starting up, grain flowing from the silo to a truck, and much more. Lift one of the eight peg puzzle pieces to see and hear what's happening inside the firehouse and all around the neighborhood! Kids two and older will love exploring in and around the fire station, discovering new, full-color pictures under each piece, and learning what is making the realistic sounds. Plastic pegs make it easy for small hands to grasp and manipulate the pieces. Lyrics are included on the puzzle so kids can sing along as they complete the puzzle! MUSICAL RACE: Place the puzzle at one end of the room and a toy or stuffed animal at the other. The slide-on box lid doubles as a convenient puzzle board! Each puzzle piece is shape-coded on the back for easy sorting. Great for travel! 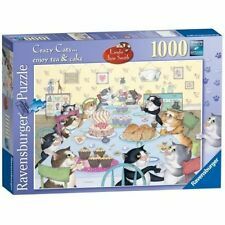 4 jigsaw puzzles have 12 pieces each. ANIMAL ID: Look at the pictures of the puzzles on the outside of the box. The slide-on box lid doubles as a convenient puzzle board! Each puzzle piece is shape-coded on the back for easy sorting. Great for travel! Contains four wooden puzzles: race car, steam engine, school bus, and fire engine. The slide-on box lid doubles as a convenient puzzle board! Each puzzle piece is shape-coded on the back for easy sorting. Great for travel! 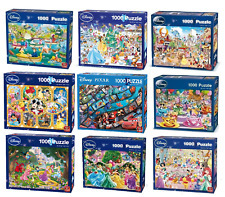 12-piece puzzles, each with beautiful artwork. Sturdy wooden storage box that doubles as a puzzle board. Don't Get Cross take apart puzzle The object is to remove the ring. without bending it out of shape. In 1910 Herbert Taylor patented the underlying idea for this puzzle and it was used to create the Johnny Walker Trick Matchbox puzzle - NOT a cross. 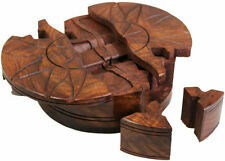 T his Winery Barrel shape puzzle is a beautiful assembly of interlocking wooden brain teaser puzzle. Assembled from 12 non identical pieces and we can definitely say it is NOT an easy puzzle to solve. In order to take it apart you need to find the key pieces that interlock the puzzle. Now put it back together to its barrel shape, Good Luck! Disassemble and reassemble the wooden pieces. Diameter 7 cm Difficulty Level: 3 of 5. Can you separate these tricky twins?. With the points of the leader piece follow the grooves of the maze and see if you can divide them. How to decide which?. This puzzle is one of these rare puzzles revived in it's new form. Lazer Maze Beam Bending Logic Game - ThinkFun Free Shipping! Skill: Logic and Problem Solving. Lights and mirrors may make it feel like magic, but it's really science and a good dose of brain power that's needed to direct the laser beam through this series of mind challenging mazes. Find out what it is that the people in the picture are seeing. Use your imagination as well as your curiosity to find out what's happening in this Original Wasgij puzzle. Only the puzzle holds the answer.